SCARVATAINGA traditional house situated in a peaceful and quiet location with beautiful views.Recently renovated with very comfortable accommodation in 3 bedrooms, kitchen/dining room, lounge fully fitted bathroom, shower room and utility room. It is heated throughout by oil central heating which also heats the water. All heating and electricity costs are included in the price and all bed linen and towels are supplied. There is a private driveway with parking right outside.This is a very central and comfortable base to explore Shetland.It is a relaxing and peaceful place, ideal for hill and coastal walks, bird watching, sea and trout fishing. The sea shore in front of the house is habitat to many seals, otters and various sea birds. A welcome pack includes Shetland produce and there is a complimentary in-house stock of tea, coffee, milk etc. The cottages have been named after four of our beautiful Scottish Glens close to Crathie; you may like to explore these during your stay. Orkneycrofts.com is proud to present three original and authentic self catering cottages for those who seek truly memorable Orkney holiday accommodation. The Cottage is traditionally designed, bright and cozy. Secluded with a private river and pond. 2 minutes walk from Lock Voil and Balquhidder village. 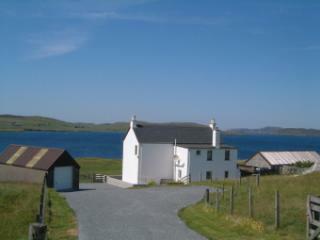 Blaran is a traditional Scottish cottage which is available for holiday rental on a weekly basis.